As part of ongoing action to enhance police powers, the government will seek to amend the Offensive Weapons Bill to introduce Knife Crime Prevention Orders. This new deterrent can be imposed on any person aged 12 or over to prevent vulnerable young people from becoming involved in knife possession and knife crime – even if they have not been caught with a blade. It comes as it emerged a fifth of offences for possession or threatening with a knife in the year to June involved 10 to 17-year-olds. 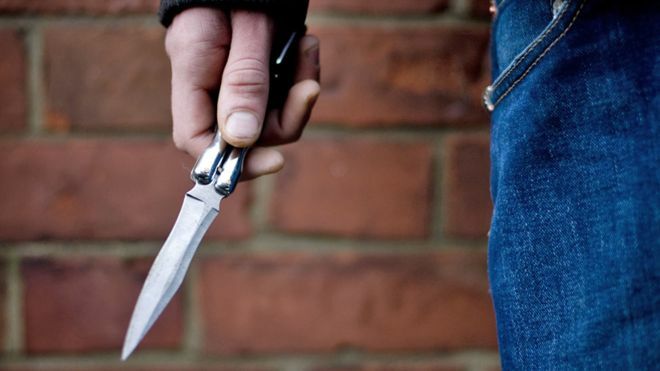 Some criticism for the powers have already been raised, as it may criminalise young people who carry knives out of fear, not with the intent to use it. Whether you carry a knife, are thinking about carrying, or are worried about someone you know getting involved with knives – there is help and support available. It can be a tough thing to do, but support is there to help anyone join the millions of young people who live knife free. Victim Support if you need support to move forward after being affected by crime; regardless of how long ago the crime took place, or if it has been reported or not. Childline offer counselors for young people 24 hours a day to support any issue they are going through. Fearless is a service which lets you pass on information about crime 100% anonymously.